Kanab is filled with adventurous options for all ages and The Canyons Collection has a dedicated Guest Experience Manager to assist you in all your planning needs. From ancient indian ruins to ziplining. Email Gordon at gordon@glhospitality.com for assistance. What is your mood? Let us know and we can plan your perfect trip without having to pack up and leave. Kanab is the gateway to three national parks, five national monuments, a renowned National Recreational Area, two state parks, two national forests, and unlimited outdoor adventures. In every direction there are breath-taking views: the unique vistas of The Grand Canyon to the south, Zion National Park to the west, Bryce Canyon National Park to the north, and Lake Powell/Glen Canyon to the East. This area of Southern Utah is famous for its numerous slot canyons – long narrow slits cut through sandstone, with towering walls so close that you can barely squeeze through in some areas. Formed by water over thousands of years, these hairline cracks in the earth’s surface are a hiker and a photographer’s paradise of tight-quartered caverns. 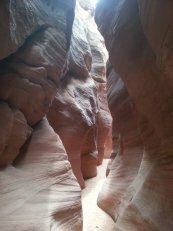 Whether you’re looking for a beginner or an expert canyon adventure, world famous canyon hikes like “Peekaboo”, Zion “Narrows”, the “Subway”, “Red Cave”, “Bull Valley Gorge”, “Buckskin Gulch”, and dozens of others await your exploration. Kanab Terrace Summer Concerts & Local Market – Kanab’s outdoor amphitheater features live music throughout the summer with a Local Summer Market offering local produce, art, beauty products and much more. Hiking! Slot Canyons! Hummer Tours! Fat Tire Bike Rentals! Horseback Riding! Ziplining! ATV Tours! All right here in Kanab! Kanab Western Adventures does it all! Visit Mike at www.kanabwesternadventures.com for all the details. Many unique Kanab destinations require a 4 wheel drive vehicle with a guide to get you to your destination. 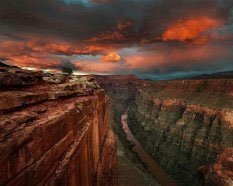 Explore the Vermilion Cliffs and Grand Staircase Escalante, seeing such sites as White Pocket, South Coyote Buttes, Cobra Arch for amazing hiking adventures with spectacular views not seen anywhere else. Will pick you up right at your hotel room door! Once your day of exploring and adventure has come to an end, return to your room at The Canyons Collection, take a dip in the pool, take one of our cruiser bikes up to the local park, enjoy a glass of wine, talk with new friends about the amazing day you had, enjoy live music on our deck in the evening. Every Saturday evening (depending on weather) in the summer at The Canyons Lodge we have reception with the wonderful local music. The music is truly an amazing thing to see! We light up the fire, enjoy the sunset and talk with people from all over the world. See? Why not stay in Kanab for your whole southern Utah adventure? We have it all right here. There is a reason why Kanab is said to be “In the Heart of it All”! The Canyons Collection will be more than happy to help you plan your multi-day trip to our area. Contact Gordon at his email, to assist you with your itinerary. gordon@glhospitality.com.